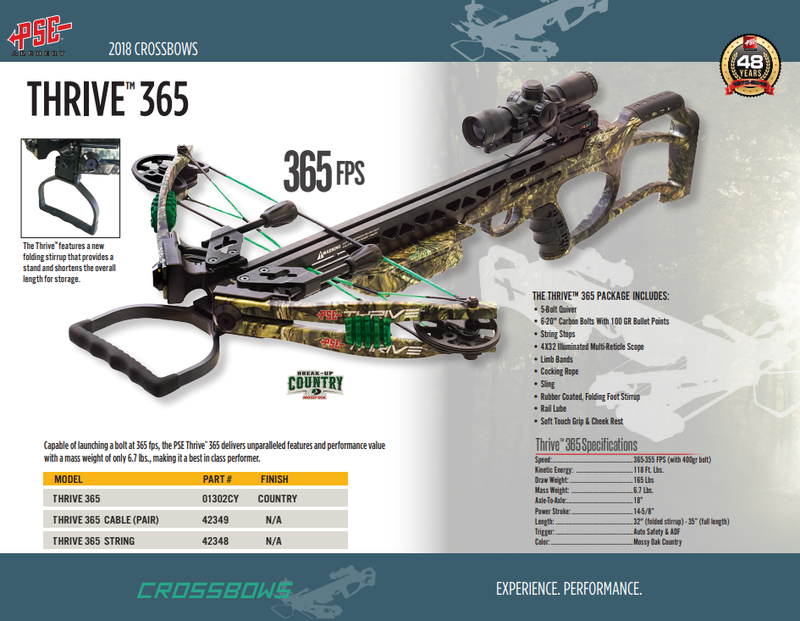 The PSE Thrive 365 delivers unparalleled features and performance value with a mass weight of only 6.7 lbs., making it a best in class performer. The Thrive 365 is built on a CNC precision-machined barrel and features a split limb system for increased stability, accuracy, and power. Limb dampeners come preinstalled which reduce limb vibration and audible sound, while the anti-dry fire safety helps to make sure that your PSE Thrive 365 crossbow only fires when you want it to.